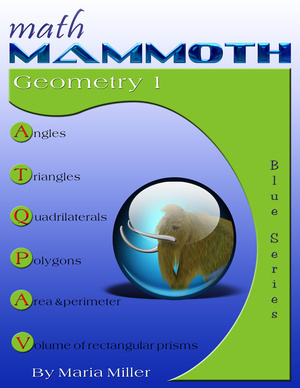 This 5th grade geometry lesson defines equilateral, isosceles, and scalene triangles, and has a variety of exercises, including drawing exercises, about these topics for students. If all three sides of a triangle are congruent (the same length), it is called an equilateral triangle. Equi- refers to things that are the “same” or “equal”, and lateral means “sided.” Think of it as a “same-sided” triangle. If just two of a triangle’s sides are congruent, then it is called an isosceles triangle. Think of it as a “same-legged” triangle, the “legs” being the two sides that are the same length. Lastly, if none of the sides of a triangle are congruent (all are different lengths), it is a scalene triangle. or “obtuse” (by their angles), and also as “equilateral,” “isosceles,” or “scalene” (by their sides). the triangles by their angles and sides. 4. Plot in the coordinate grid an acute scalene triangle. 6. a. Draw a scalene obtuse triangle where one side is 3 cm and another is 7 cm. Hint: Draw the 7-cm side first, then the 3-cm side forming any obtuse angle with the first side. b. Measure the third side. Compare your triangle to those of your classmates, or draw another one yourself. or are they all identical (congruent)? 7. a. Draw an isosceles right triangle whose two sides measure 5 cm. Hint: Draw a right angle first. Then, measure off the 5-cm sides. Then draw in the last side. b. Measure the third side. It is ____________ cm. 8. a. Draw any isosceles triangle. Hint: Draw any angle. Then, measure off the two congruent sides, making sure they have the same length. Then draw the last side. b. Measure the angles of your triangle. They measure ________ °, ________ °, and ________ ° . The angle sum is ________ ° . 9. Measure all the angles in the isosceles triangles (a) and (b). Continue their sides, if necessary. _________ °, _________ °, and ________ ° . _________ °, _________ °, and ________ °. the same angle measure. They are called the base angles. The remaining angle is called the top angle. base angles in this isosceles triangle? so that you get an isosceles triangle with 40° base angles. Measure the top angle. It is _______ ° . The three angle measures add up to _______ ° . Hint: start by drawing the base side (of any length). Then, draw the 75° angles. b. Measure the top angle. It is _______ ° . The three angle measures add up to _______ ° . c. Compare your triangle to those of your classmates, or draw another one yourself. Can you draw several different-looking triangles with this information, or are they all identical? 14. a. Could an equilateral triangle be a right triangle? If yes, sketch an example. If not, explain why not. b. Could a scalene triangle be obtuse? c. Could an acute triangle be scalene? d. Could a right triangle be scalene? e. Could an obtuse triangle be equilateral?